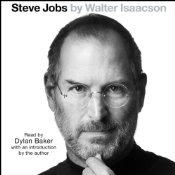 I listened to Steve Jobs' biography while commuting to and from work. It was incredibly interesting, and extremely well written. I highly recommend it. Books: What Would Google Do?